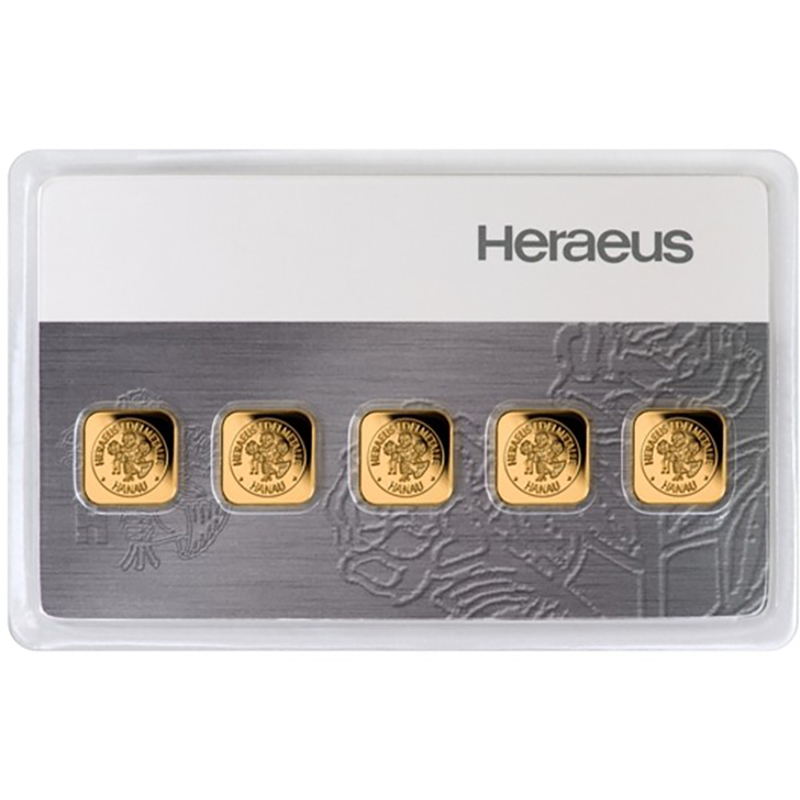 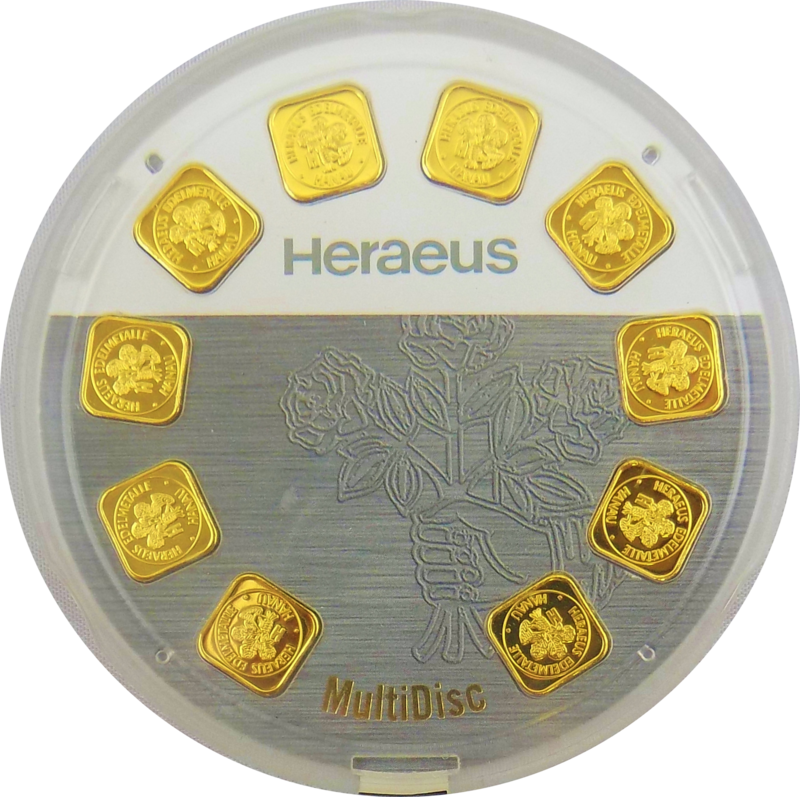 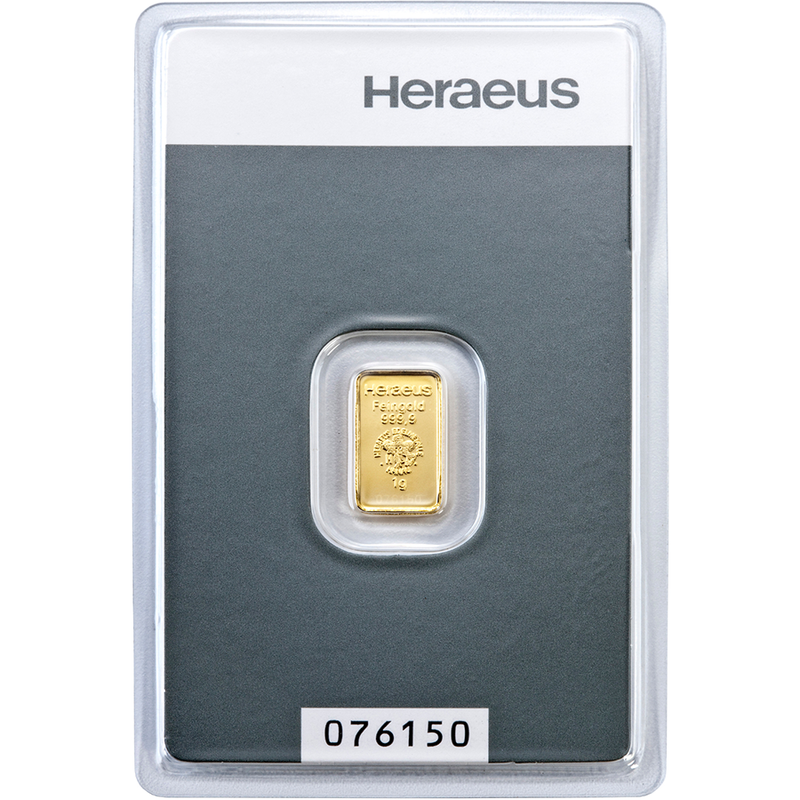 This Heraeus 10 x 1g MultiDisc Gold Bar consists of ten individual square 1g bars, allowing for investment at a lower price point. 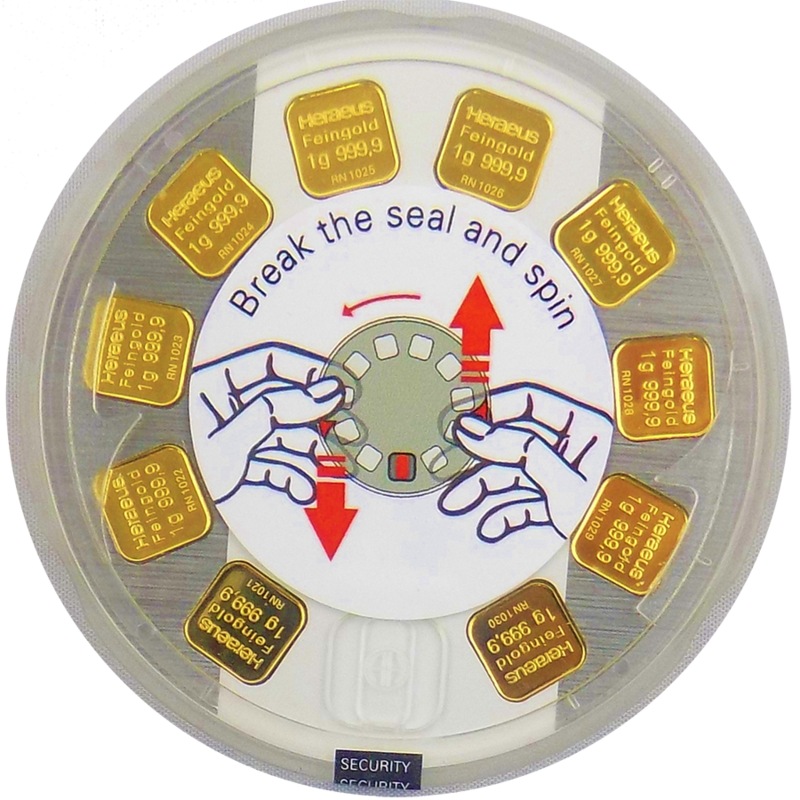 The bars are supplied in an innovative rotating dispenser, which can be twisted and turned to remove and put back the gold bars without damaging the packaging. 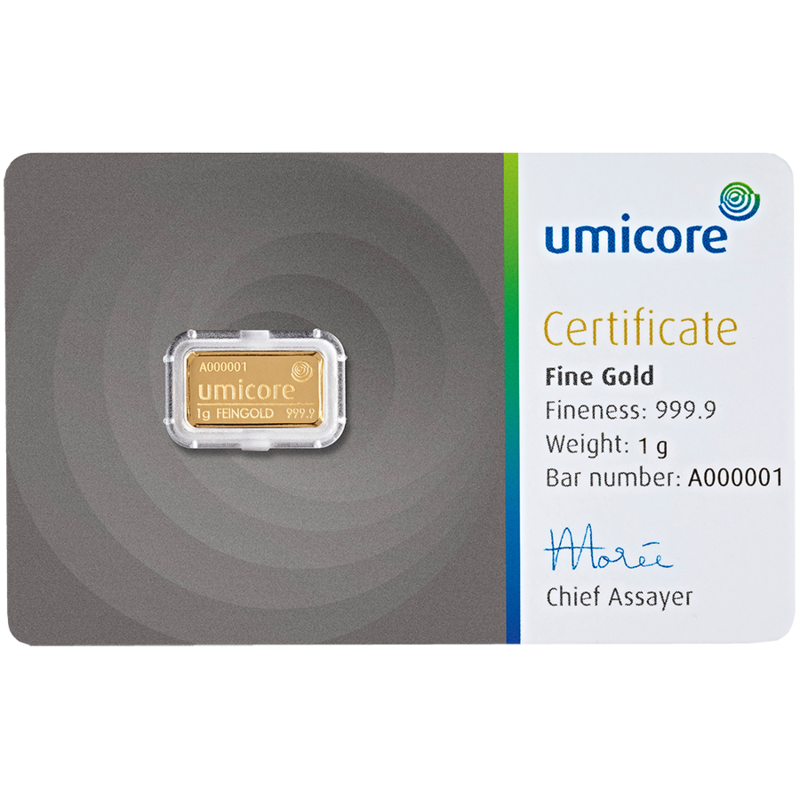 Each bar has its own unique serial number. 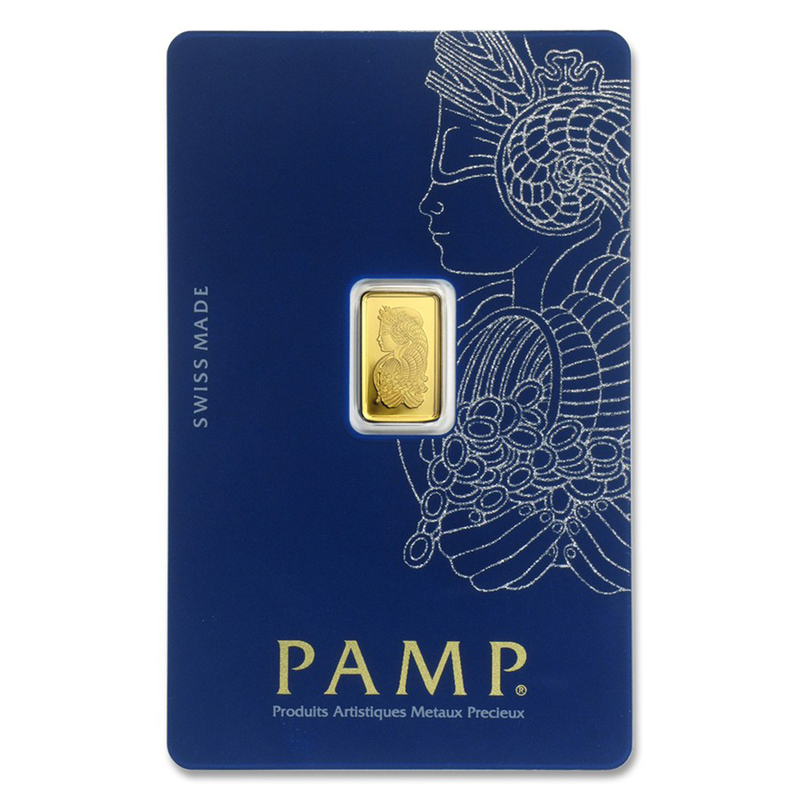 The presentation card includes an assay card certifying the weight and gold purity. 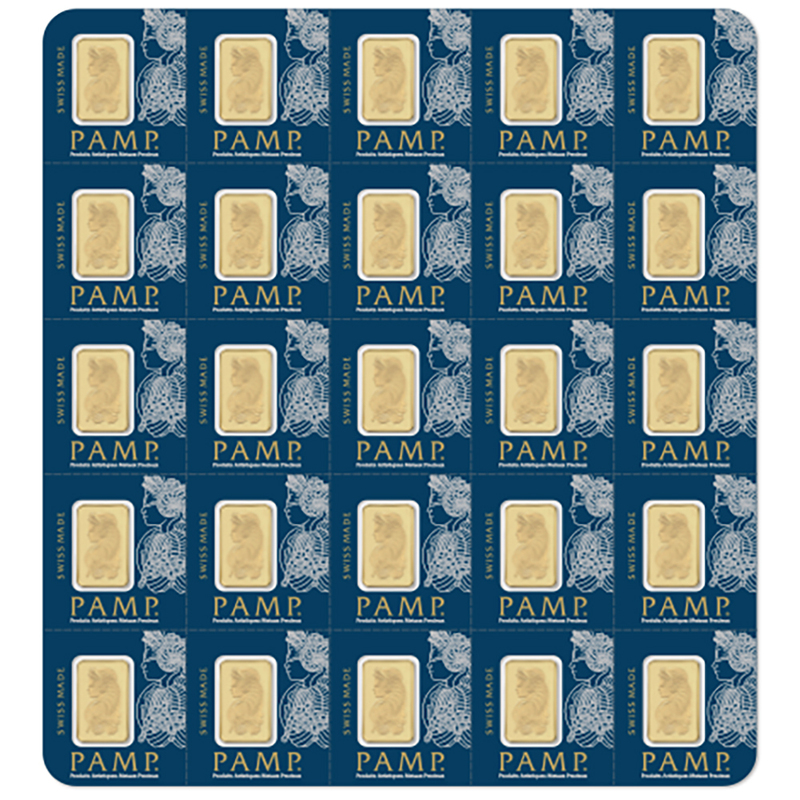 Square, quality stamped style bars. 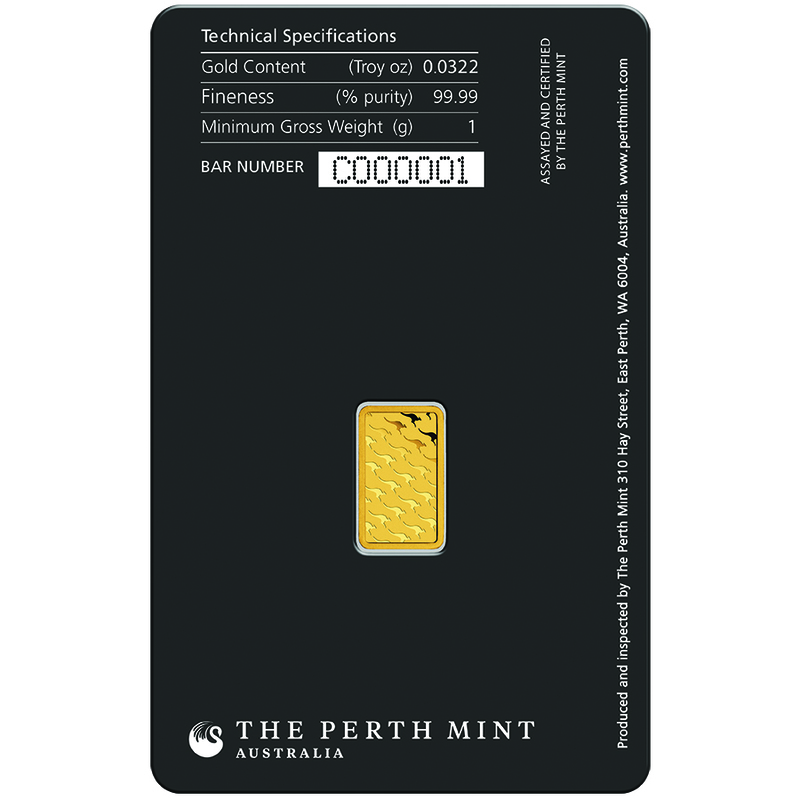 These bars are supplied in a dispenser, each with its own certificate of authenticity and unique serial number.